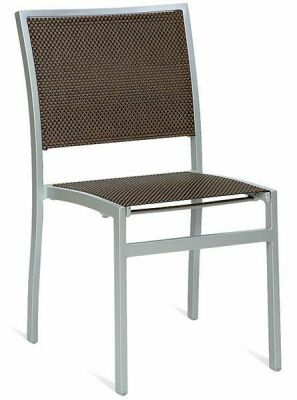 Stylish indoor and outdoor side chairs with a Silver aluminium frame and close LV weave on a choice of Brown or Beige. 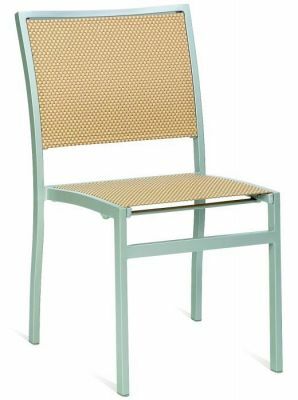 Designed for commercial applications these chairs are held in stock for a fast delivery. Contemporary style outdoor café chair in a close knit coffee colour weave, available in two finishes Beige and Brown, with a thick aluminium frame.